Why can't Hollywood make Mars work? 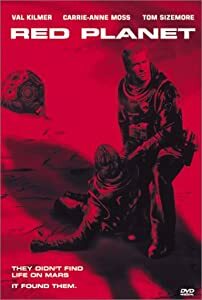 Anyone else realize the last broadly successful science fiction movie set on Mars was 1990's Total Recall -- the movie that Colin Farrell is helping remake sans the Martian elements? Tinseltown seems to keep fumbling any version of the Red Planet that sees the big screen -- and I include Red Planet in that eulogy. So, is Mars cursed in Hollywood? That's question I try to answer in SF Signal Podcast Episode 117. Fortunately, Fred Kiesche, Jeff Patterson, Scott Cupp, Paul Weimer and Patrick Hester are there to drown out my cynical meanderings about the cinematic value of the fourth rock from our sun. Give a listen, if only for Golden Age Flash Gordon references and the gratuitous namecheck of the Viking landers. Per usual, the backlog of my established SF Signal Podcast errors is available here. For those of you who don't know, a Hugo Award is arguably the ultimate accolade in the realm of science fiction and fantasy. It's the Oscar of the nerd media set. And, in a very indirect way, I've been nominated for one. More directly, the blog SF Signal (for which I once contributed before reclaiming my Geekend gig) and the SF Signal Podcast (on which I continue to appear three to four times per year) have been nominated as Best Fanzine and Best Fancast, respectively. The complete 2012 Hugo nominations list is available here. If any of you are heading to Worldcon 2012 (AKA Chicon 7) this year, and you're so motivated to vote, the SF Signal Irregulars would be grateful for a ballot checkmark or two in our favor. Now, I cannot stress enough how little I had to do with either of these nominations. I haven't thrown in a SF Signal post in well over a year, as my precious and rare writing bandwidth now goes almost exclusively to paying gigs, the Louisville Digital Association (who suffers with me as its President) and ConGlomeration (which suffers with me as its webmaster). Despite persistent and generous invitations to the SF Signal Podcast, I only show up every month or so due to similar time constraints (though I'll be recording with them tomorrow night, I believe). Heck, despite a 2011 Tangent List entry, I haven't written any fiction in over a year, which the 2005 version of myself would find unforgivable and mind-boggling. The Hugo credit belongs to everyone who contributes (more regularly than me) to both SF Signal properties, but most especially to John DeNardo, the head man at the SF Signal Blog, and Patrick Hester, the audio mogul who produces and hosts the SF Signal Podcast. Frankly, I'm far more pleased and excited about these nominations than I ever was of the Tangent mention because, first, it's a Hugo, and second because it shines a much overdue spotlight on good people doing good work for no reason other than a love of seeing it done. That I am connected by the slimmest and most undeserved thread to these glories is irrelevant. John D., Patrick and every other SF Signal Irregular have earned this moment of praise. If you haven't heard of them, seek out their work. If you know them, thank them for their contributions to the sci-fi and fantasy community. We're all the better for it. Now, let's bring home that rocket.